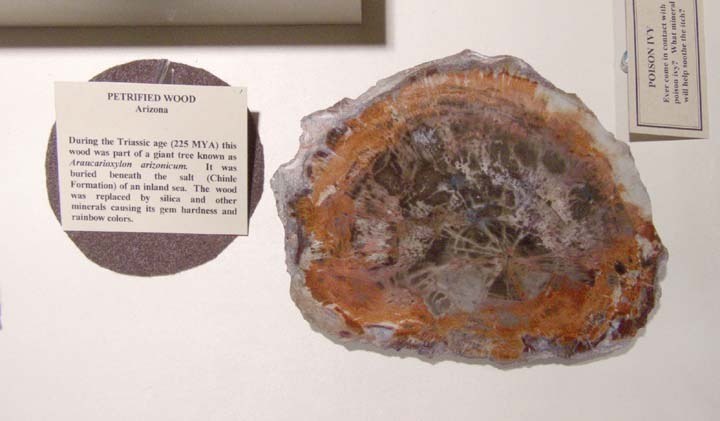 Mineral display cases were interspersed with the fossil displays throughout the room. 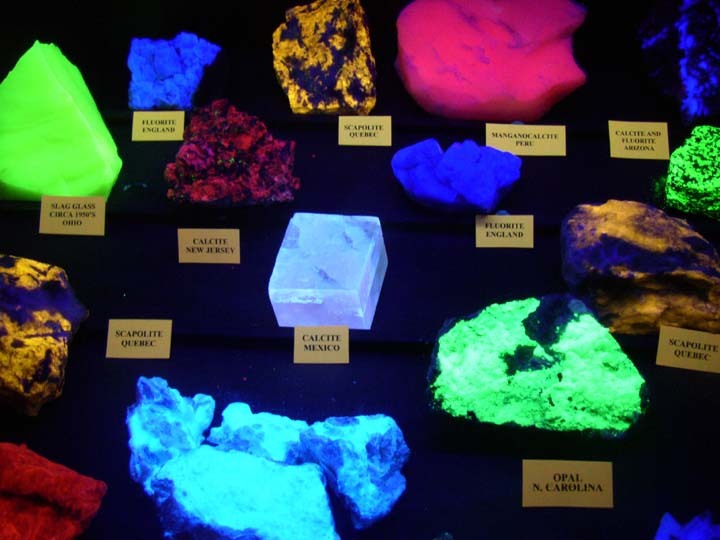 To the right after entering the main hall, the flourescent minerals were displayed in a small room in two cases. 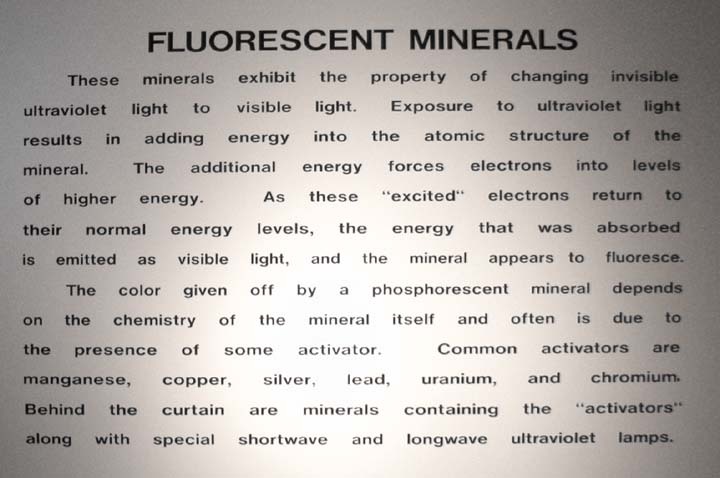 UV lamps made them glow in an earie light of their own. 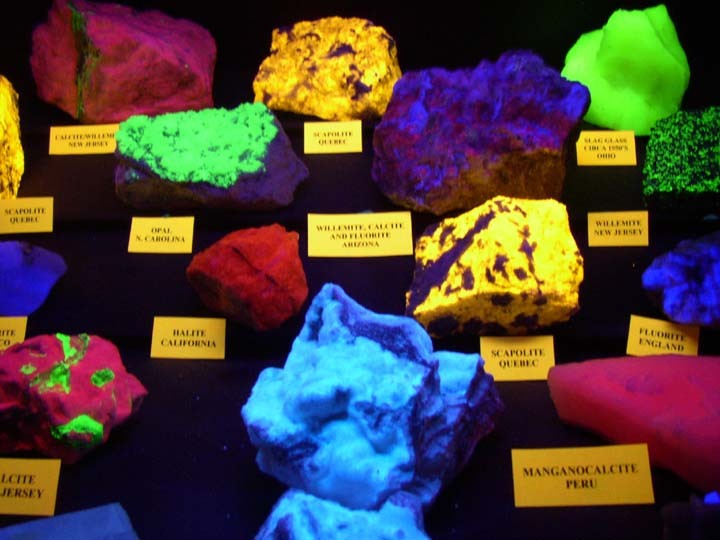 These are just a few of the beautiful and unusual minerals on display.